If you get it, just put this mega-capacity PS4 behind something else, m’kay? Sony just unveiled a Call of Duty-themed PS4 that boasts 1 TB of internal storage. It is also damn difficult to look at. The orange piping and highlights are already questionable choices. 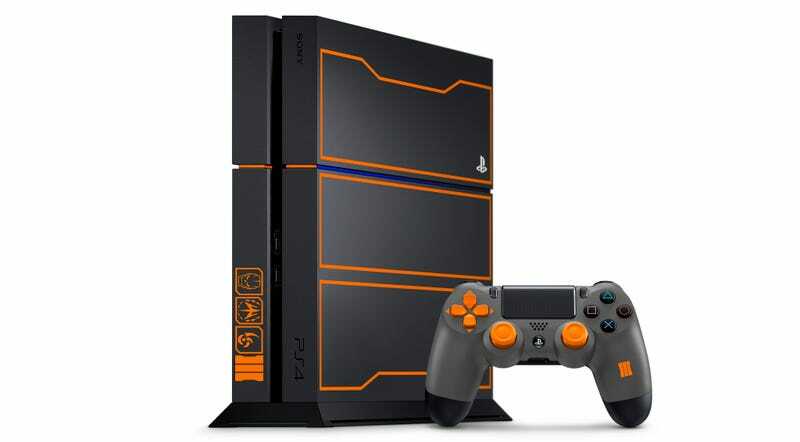 But the Call of Duty: Black Ops III symbols and branding are what really makes this PS4 so garish. As for the retail details, the Black Ops III PS4 bundle will cost $449.99 and will come with the game and its updated version of the Nuketown map. It’s out on November 6.